Before the recent "Gangnam Style" craze, there was former tutor and caretaker Ji-young Nam Gung - or better known as "Big Mama" cooking up a storm in her humble eatery, located just a stone throw away from Tiong Bahru Plaza. 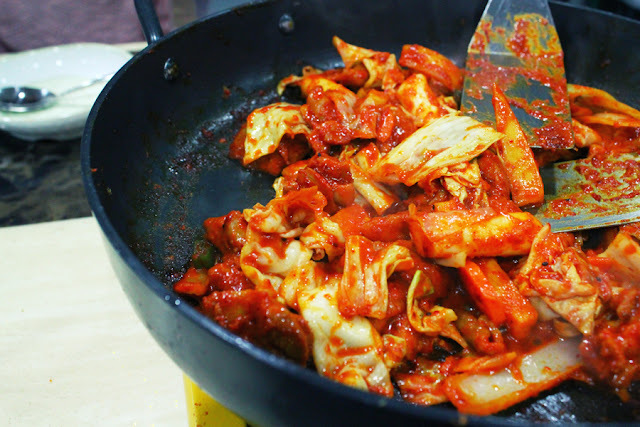 Her authentic home-cooked Korean dishes are a favourite to many, especially Korean students who came to savour a taste of home. 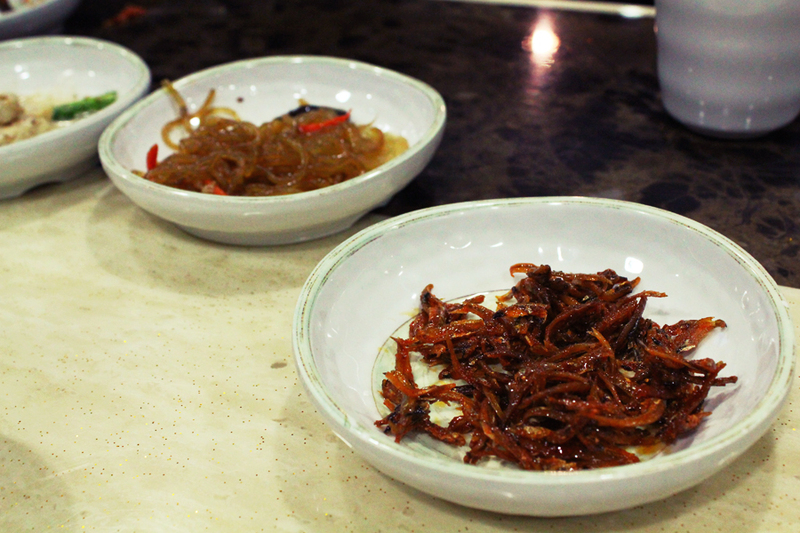 Similar to any other Korean restaurants, diners are greeted to an array of assorted banchan (side dishes) to accompany your mains. 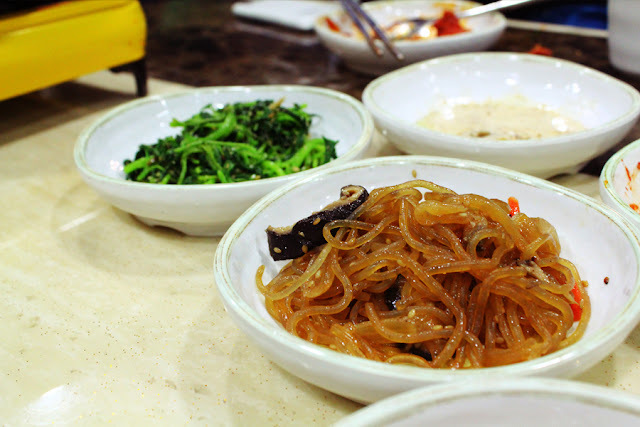 At Big Mama's, we were served with kimchi (traditional fermented vegetables), marinated watercress, crunchy lotus roots, japchae (sweet potato noodles), anchovies and mook (acorn jelly). And the best thing? It is free-of-charge and refillable! Girlfriend Peiyi and I ordered their speciality, Dakgalbi (S$15.00 per pax, min 2) - marinated chicken thigh chunks, chewy rice cakes, sliced cabbages and onions stir-fried together with generous drizzles of condiments and red chilli pepper paste. Additional sides, such as fried rice comes at different prices. Don't know how to cook? 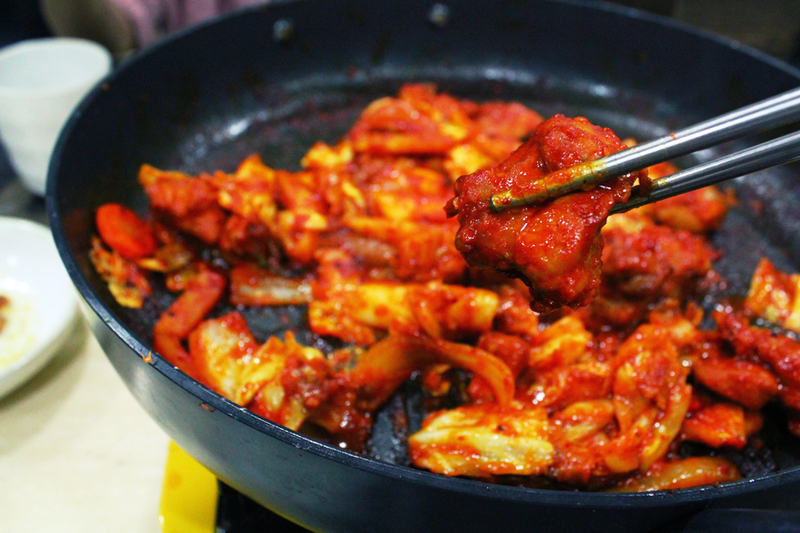 Fret not, for their service staff are trained to make the simplest ingredients to the signature, mouth-watering Dakgalbi! Apparently, ours came in an overly-awkward shape. 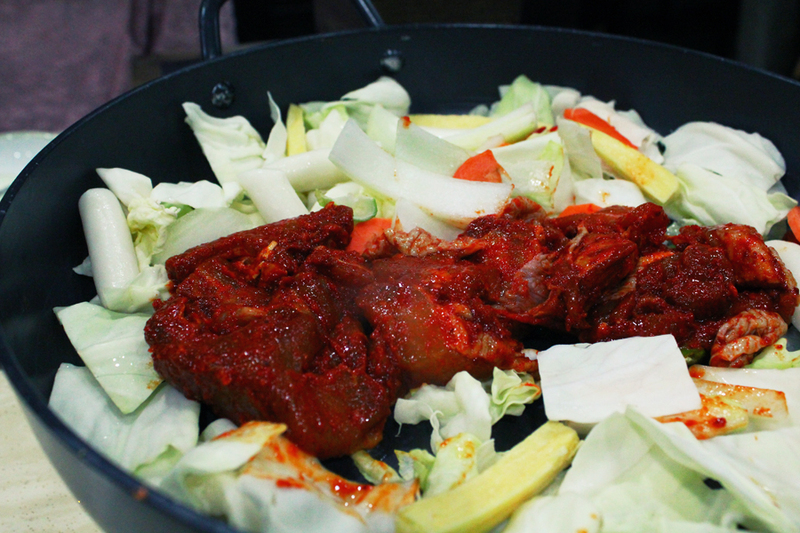 Their Dakgalbi reminded me of the ones I had in Korea a few years back. The well-marinated spicy chicken chunks were incredibly good and tasty, while the rice cakes were so so soft and chewy (I am putting heavy emphasis on "so"). This is definitely one of the best Korean dishes I had in Singapore. Just a tip - add a bowl of steamed rice and stir fry them together! 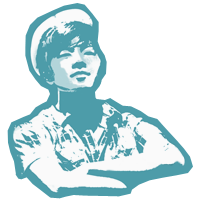 "I love it when it is clean" (referring to the dishes), one of the service staff told us with a slight aegyo. And yes, we indeed cleared out every single plate on our tables. Although not an atas restaurant, Big Mama makes authentic and scrumptious Korean dishes without burning a big hole in your wallet.